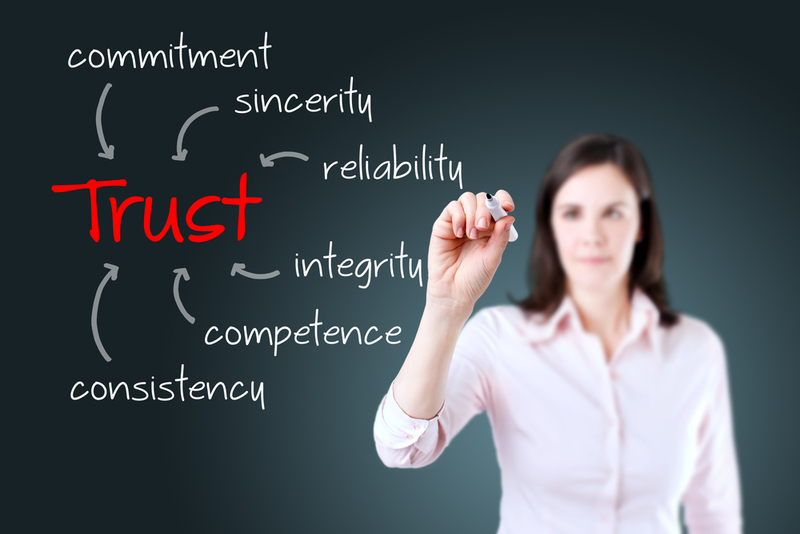 Home » Analytics » Why Does it Matter That Readers Trust You? You’ve likely heard of the idea that sharing industry-related articles and putting together regular blog posts will help you to build trust in your brand among your regular readers and increase their loyalty to your company. But what exactly makes this so important? Obviously, the kind of customer service and product quality that you provide goes a long way toward building trust in your customers. But for people who learn about you through your content marketing strategies online, the kinds of content that you are sharing and posting could make or break your ability to build trust in potential new customers. All of these statistics show that the vast majority of people only choose to read and engage with content from companies that they trust. If your content marketing strategy is designed to ultimately lead to more sales conversions, then you can also form a correlation between trust and online sales. The point about recommendations is also extremely important. Especially in their early phases, small businesses thrive on word-of-mouth recommendations from their customers. A recommendation from a friend or relative is the most powerful kind of advertisement a business can hope to get, because people trust the opinions of their friends and family. Creating content that builds reader trust will increase these recommendations that you can get, which will get more eyes on your web content and your products and services. It’s time to start building greater trust in your readers. Speak to us at Viral Solutions about putting together a content marketing strategy to add a powerful new element to your company.